2017 Volleyball Captain, EC Stanzel, competed in the Texas Association of Volleyball Coaches 5A/6A All-Star Games in Pearland on Saturday, May 19. Forty-eight seniors were selected from over 500 varsity teams to play on four All-Star teams. 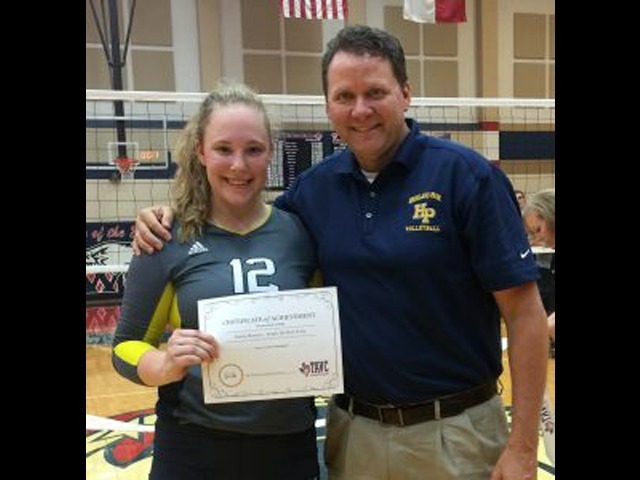 Representing Highland Park and wearing her custom jersey the Lady Scots won at Pearland in 2015, her South team defeated North in the semi-finals and defeated East to win the tournament championship. Congratulations, and good luck next year playing for the UTD Comets! HP GYMNASTS QUALIFY TO NATIONALS!